The limit does not exist. At least not here in Houston. Officials from the Greater Houston Partnership economic development group revealed a new campaign this week labelled "Houston: The City With No Limits", hoping that it will continue to attract young professionals and corporate executives to the City of Houston, and more importantly, the greater Houston region. Before we too far ahead of ourselves, let's be honest and admit that Houston has its limits. To borrow a joke from Tory Gattis at Houston Strategies: If you're talking about the physical city limits of Houston, no, it doesn't really feel like there are any limits! If you're a fan of Mean Girls (I know you're out there! ), you will know that Lindsay Lohan's character Cady Heron wins North Shore High School the Illinois High School Mathletes State Championship by correctly identifying that a particular math problem has no limit. If I were the Greater Houston Partnership, I might be asking Lindsay Lohan to do a reprisal of her role for a forthcoming campaign. The young professional crowd would probably identify with the humor! But let's be real. Houston has some limits, unlike Cady's math problem. All cities have limits, and we can't claim some sort of Houston Exceptionalism right now. Some might wonder why a campaign like this is even necessary. Houston is leading American cities in total net migration, and dominating the share of the domestic migration. Houston has already been a leader in international migrants as well. And, like the previous four years, Houston was ranked as the number one destination city in 2013 for U-Haul. People are moving to Houston regardless of a snazzy new campaign. When you look at the brand strength of Houston when compared to other cities, it really is remarkable that so many companies and individuals are willing, and in many cases excited, to relocate to Houston. So, this is why these marketing tools are most likely worthwhile. When looking at the top branded cities in the world, Houston doesn't crack the top 50. Out of 57 cities listed in a Saffron / Guardian Cities global brand survey, Houston wasn't included, and it's not hard to understand why. Houston's not considered a top shopping destination, nor does it rank among the top cities as a financial center or location for tech start-ups, and certainly not one of the top cities for transit infrastructure. If you look at the metadata, Houston was only ranked in one metadata category: "Top 25 Hot Spots by 2025", and specifically for the city's projected Gross Domestic Product. For Houstonians, we might be perfectly fine with that, as Houston is not widely regarded as a tourist destination, and that is what most of these Saffron / Guardian Cities categories seem to measure. Houston is seen by some as the next great American city, however, there is not a place where segregation and inequality are so prevalent. In Smithsonian Magazine's article, What Makes Houston the Next Great American City?, the point is made that Houston has "the Texas Medical Center, the finest medical facility in the world, but we also have the highest percentage of kids without health care. The inequality is so clear here." Houston has some of the highest crime rates in the country, and unfortunately contains two of the country's top-25 most dangerous neighborhoods. We have some of the worst traffic and congestion in the country, or some think in the Western Hemisphere. That was in 2013, and it's even worse in 2014! Houston has some of the dirtiest air in the country. It probably has to do with all that traffic congestion and our sprawling suburbs. Houston has historically been difficult to navigate. Nothing will be more welcoming than hopping off a plane and sitting in the limitless traffic on beautiful I-45 from either of Houston's airports, or then realizing the vastly limited transit options that exist to get you to your final destination. Houston's growth has forced many to bear the financial and time-related burdens of car ownership. Thankfully, METRO Houston is working on a reimagined bus network that will provide more frequent access to job centers across the city, and allow people to use their cars less frequently should they choose. Houston has also been ranked as one of the world's ugliest cities (and deservedly so in many respects). It is understandable that campaigns and slogans like this need to be generated for cities to continue to attract attention from around the country, and around the world. Without a doubt, Houston is a city that has pushed the limits of the known world, propelling humans into space, cooling and enclosing gigantic sports facilities, creating artificial hearts that extend lives, and fueling the world's gas guzzling cars. 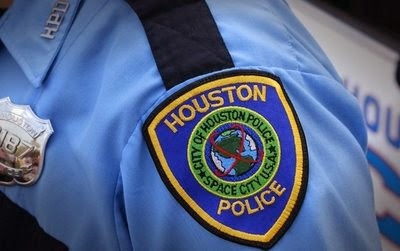 But, Houston has yet to find an asset that it can continue to market that either hasn't been underfunded and discontinued (the space program and Space City, and this slogan is even emblazoned on our city's police department patches), has had its status wither away (with the Rockets and Clutch City), draws attention to a noxious byproduct of our riches (as the world's oil and gas capital), or has been grossly under capitalized (Bayou City), although the Buffalo Bayou Partnership is doing an amazing job at ensuring that Houston's most important natural feature can be enjoyed by residents, and used as an asset for the city, rather than just a conduit for roadway runoff. Buffalo Bayou Park will be a tremendous asset for Houston, and will lend some credibility to our name as the Bayou City. Marketing cities is just like every marketing campaign. Your audience and message will change, and the simple fact that money is being spent to promote Houston will probably bring some benefit. If nothing else, this campaign helps to put a picture and description on the greater Houston region, much like this Swamplot article summarizes. If it's good for bringing business to Houston, all the better. We'll see how it pans out. However, it is somewhat of an easy target with all the sprawl jokes! I love Houston, and I hope we continue to provide our citizens and visitors with the best services and products around. I also hope we continue to make our mark around the country and around the world as trendsetters, trailblazers and innovators. We just need to be honest with our assessments at times. There's much to be proud about, but the work can't stop in making Houston a desirable place to live, work or visit. This is a great read (and kudos on the Mean Girls reference; love that movie!). You hit the nail on the head in that our city's branding could really use some work, as we've too often let others define us rather than defining ourselves.2010 to 2020 is shaping up to be Houston's decade, and I think this would be the perfect time for us to market ourselves properly to the rest of the world. But as what? Most outsiders I talk to only know Houston for one thing - NASA (and maybe cowboys). And like you said, NASA has been grossly underfunded and has largely fallen by the wayside. There are plans to build a spaceport at Ellington and put a giant astronaut statue (and visitors center) in Webster, but until those break ground, what else can we do? Oil & gas and the medical field are our two biggest industries, but unlike the financial or news media industries in the East coast, or the entertainment or technology industries on the West Coast, they seem very insular and media-averse. In my opinion, they really need to engage with the city in promoting Houston as a great place to live, because that benefits them greatly as well in attracting young talent away from "dream cities" like NYC or San Francisco. Quality of life absolutely matters nowadays, not just salary figures or job titles. Another way to get recognition would be for our sports teams to not only start winning, but to establish a dynasty as champions; but that's really out of our control so all we can do about that is cross our fingers. Rolando, thanks for reading. The branding for the city continues to take punches, and it just seems like there's not much to hang our hats on. I like your point about the industries that we have here, and their place in culture. The media-averse nature of Houston's industries doesn't lead to glossy magazine spreads or snazzy tourism shots, and that probably will never change. It'll be interesting to see what the latest marketing efforts may lead to. Thanks again for reading.